Growth hormone deficiency (GHD) patients have lower weight, height, bone age, insulin-like growth factor 1 (IGF-1) levels, GH levels, fat metabolism and skeletal growth. The association of leptin with GHD characteristics and the effect of gene variants of leptin on GHD are unknown. Our aim was to examine the association of circulating leptin levels and common genetic variants in leptin (LEP) and leptin receptor (LEPR) genes with anthropometric measures, circulating hormone concentrations and GHD. 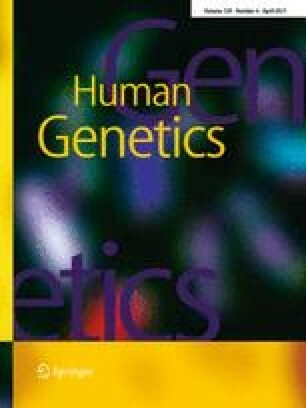 A case control study of 125 GHD cases and 159 control subjects were characterized for bone age, body mass index (BMI), height, weight, leptin, IGF-1, GH and their genotype at the leptin promoter G-2548A, and LEPR variants, K109R and Q223R, at Chung Shan Medical University Hospital. Leptin levels were significantly associated with lower bone age, weight and BMI in GHD patients. Leptin levels were also significantly associated with reduced IGF-1 levels in girls but not boys in both groups. The frequency of LEPR223 [A/G or A/A] genotype was significantly higher than the LEPR223 G/G genotype in the GHD group. The LEPR223 [A/G or A/A] genotype was significantly associated with increased weight and BMI in the control group, but not in the GHD group. In conclusion, the GHD group carried a significantly higher frequency of the LEPR [G/A or A/A] genotype and of the A allele (LEPR223R). The LEPR223R polymorphism affected weight and BMI in control, but not in GHD patients, suggesting that the effect of LEPR223 [A/G or A/A] genotype was counteracted by other factor(s) in GHD patients.